Making party plans for the big football game? By following simple food safety rules from our game-winning playbook, you’ll provide the best defense to avoid letting your teammates get sacked by foodborne illness this Super Bowl. You may also get voted as MVP for best Super Bowl party host! Food illness has many causes. Primarily because of leaving food out too long. But, food illness generally occurs when people eat food that contains bacteria, parasites, viruses, or toxins. 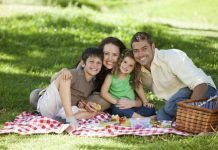 Most cases are caused by common bacteria such as staphylococcus or E. coli. Begin your party food prep by washing hands with warm, soapy water for at least 20 seconds. Wash and sanitize dishware and utensils before using them to prepare, warm, cook or serve any foods. Keep all raw meat and poultry away from ready to eat foods while preparing and mixing items. 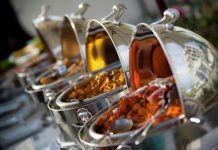 Use clean and different utensils for each dish, and avoid using your own personal utensil to serve yourself foods from the buffet. 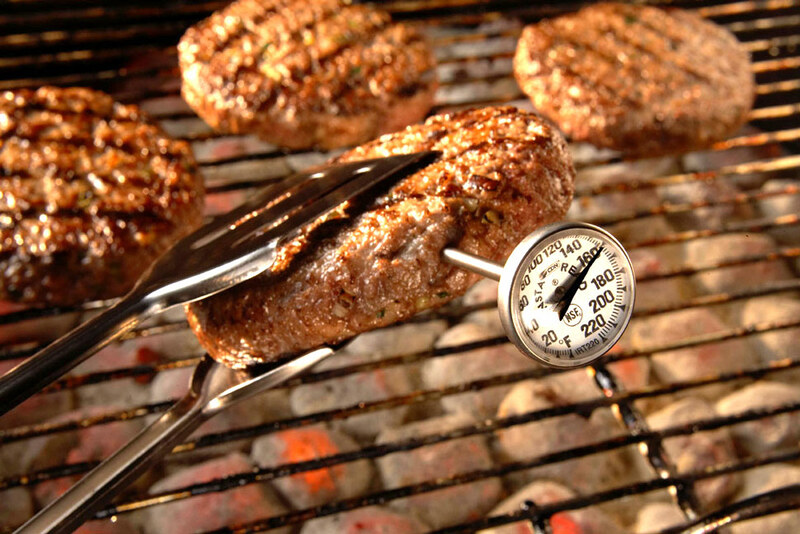 Use a food thermometer to ensure that all meats, poultry and other cooked food items have been cooked to a safe internal temperature before serving. Any previously cooked foods being reheated must be reheated to a safe internal temperature of 165°F, or steaming hot before serving. Making sure food items are properly heated and cooked will kill bacteria that may try to tackle your guests. Refer to the Safe Minimum Cooking Temperatures chart below for the “rest time” of meats—the period after cooking that some meats need to rest before serving to ensure that germs are killed. The game is over, but that doesn’t mean you have to lose your food or your health! Track the time that food stays on the buffet. Sideline any perishable foods that have been out at room temperature for 2 hours or more. 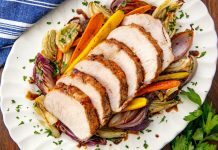 After foods have been sitting at room temperature for 2 hours, either place foods in the refrigerator, change the cold sources or throw out foods you know have been sitting since pre-game coverage. Bacteria love temperatures between 40°F and 140°F, and will grow rapidly if they are in this temperature environment for more than 2 hours. Read more about the Danger Zone.